Decades of experience in residential and commercial architecture. We’re proud of every project and relationship formed over decades of hard, passionate work. Our approach to architecture ensures all parts of the building work together to create a high-performance, durable, economical, energy-saving and environmentally-friendly home or building. See a complete list of projects here. This single-family residence melts seamlessly into the wooded lot with horizontal planes and corner windows, allowing a two-sided view of nature from all interior rooms. Butch’s Dry Dock was a redevelopment of an existing downtown retail space – now a fining dining restaurant, wine/cocktail lounge and wine retail shop. Designed using the newest of New Urbanism Principles – Fairbanks Village departs from the average – with a variety of outdoor spaces recalling a small village community. Compassionate Heart has a full working kitchen, dining facilities, gymnasium, craft and project spaces, casual living rooms and offices for staff. This full-service Flagstar Bank was designed to physically fit into a constrained site, blend in with the neighboring historic cider mill and large-scale private residences. 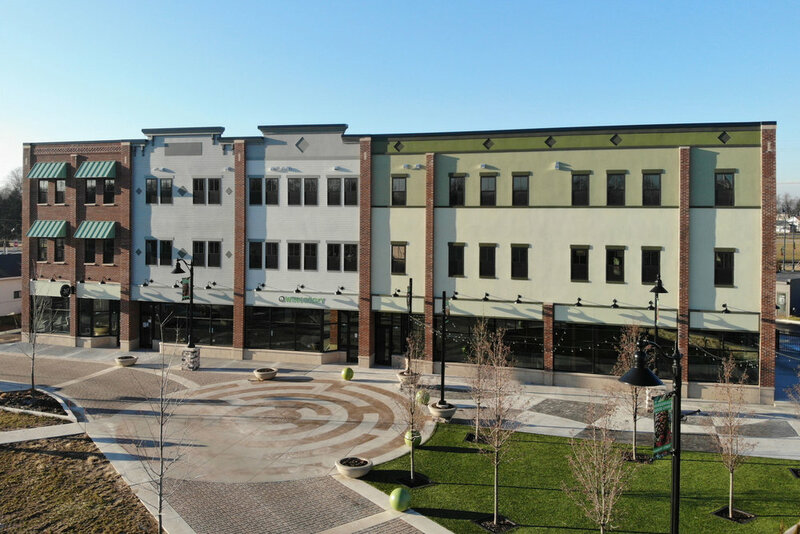 The Hudson Center building is Hudsonville’s first three-story structure. This $4.2 million investment has created a walkable downtown business district for the city. Graafschap Christian Reformed Church needed to make big changes to accommodate a growing congregation – and maintain the original church aesthetic.